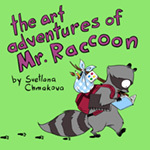 Svet's flight to Cavalcade of Authors was cancelled due to "high winds" and she was unable to get on any other flight that would have her arrive in time. She will hopefully be able to attend next year. JY has announced the fourth installment of the Berrybrook Middle School series will be titled Diary! It's different from the previous three books and will feature exclusive short stories featuring familiar faces from Berrybrook and will double as a real journal featuring a "One Sketch a Day" section, stickers, and free note pages with fun journal entries from one of the main characters. In addition to a standalone release, Diary will be included in a Berrybrook Middle School box set along with Awkward, Brave, and Crush. Both Diary and the box set are slated for release in October. Crush was selected in the Top Ten picks for the 2019 Amelia Bloomer List, which recommends recent books with significant feminist content for readers from birth to 18 years old! 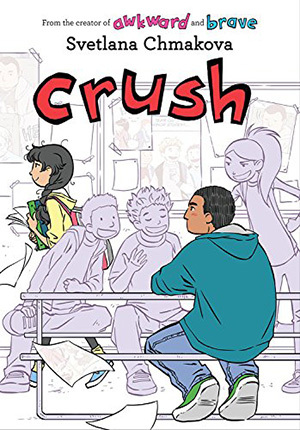 Crush is on the YALSA's 2019 Great Graphic Novels for Teens Top Ten list! Awkward and Brave have been on previous lists. 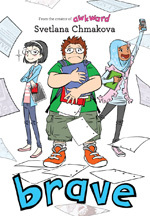 Crush is on School Library Journal's Top 10 Graphic Novels list! Awkward and Brave have been on previous lists. Crush is on Amazon's "Best comics and graphic novels of 2018" list! Brave was on last year's list. Crush is now available! 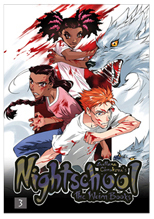 You can find it in book stores near you and through links on my comics page! Brave was just nominated for a Harvey Award for "Best Children or Young Adult Book"! The first chapter of Crush is available at comic shops as part of Free Comic Book Day! Awkward won the Pennsylvania Young Reader's Choice Award for Grades 6-8! Awkward won the Louisiana Young Readers' Choice Award for 6-8th Grade! YALSA has named Brave as one of their 2018 Great Graphic Novels for Teens! ICv2 has selected Brave as one of their Top 10 Kids Graphic Novels of 2017! Crush will be one of the fifty titles available on Free Comic Book Day on May 5, 2018! Make sure to visit your local comic shop and tell them to be sure to get copies of the free Crush sampler! The Free Comic Book Day edition of Crush won't be the full book, just a preview. That will be due out later in the year. 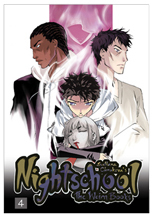 You can find pre-order links on my Comics page once pre-orders are available. Brave is on School Library Journal's Top Ten Kids' Graphic Novels of 2017 list! Brave has been selected for Amazon's "Best comics and graphic novels of 2017" list! The cover from Crush has been revealed! 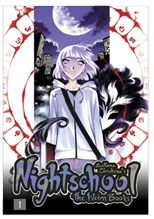 See it at the Yen Press site! My next book, Crush, has been announced! It will focus on Jorge, whom we met in Brave. It will be published in fall 2018. I was interviewed by Brigid Alverson for Publishers Weekly. It's a great article if you want to know how I got my start in comics and learn where Awkward came from. Awkward is an Honour Book of the 2017 Silver Birch Fiction Award! Awkward won the 2017 Rocky Mountain Book Award Gold Medal! Yen Press has posted a free preview of Brave on their Facebook page! It will be released on May 23rd. 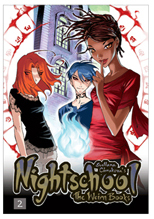 You can find links to pre-order it on my Comics page. The Rebecca Caudill Young Readers' Book Award has selected Awkward for their 2018 Master List. Awkward is on the list of 2018 Sasquatch Nominees by the Washington Library Association Book Awards! I appeared on The New Screen Savers episode 82 to help Leo Laporte (whom you may remember from TechTV) test the new Microsoft Surface Studio. Awkward has won the Dragon Award for Kids Comics at the 2016 Shuster Awards. Awkward has been included in the 2017 Forest of Reading nominees by the Ontario Library Association! It's nominated for the 2017 Silver Birch Fiction Award®. Awkward has won the 2nd Annual Dwayne McDuffie Award for Kids' Comics! The Toronto Public Library has recommended Awkward in their list of Top Ten Local Reads for Summer 2016. Awkward has been nominated for a 2016 Eisner Award! Awkward is on the Maine Student Book Award's 2016-2017 Reading List. Awkward got picked for YALSA's Top Ten Graphic Novels for Teens 2016! Awkward is in the list of Top 10 Graphic Novels of 2015 by School Library Journal. Flight cancelled due to wind. Will try and attend next year! Social media icons by Rebin Infotech.